After Isstvan, after Deliverance, the Raven Guard still endure. Their primarch Corvus Corax has rallied countless warriors to his banner, striking back at the forces of the Warmaster on every front – from the degenerate hereteks of the Mechanicum to the cruel legionaries of the Sons of Horus, none shall escape his wrath. 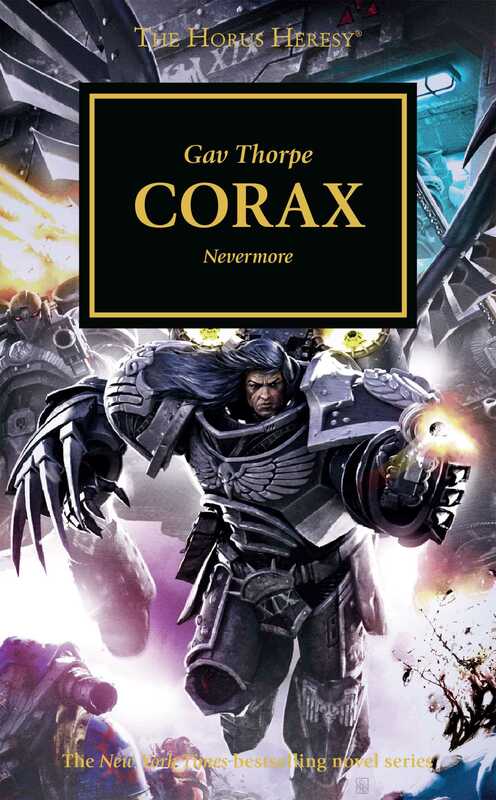 But although Corax has managed to stall the physical corruption of his own Space Marines, what of their spirit? And what sinister end must await those who dwell forever in the darkness? The saga of the primarch Corax comes to its grim conclusion in this anthology, which collects together the novellas Soulforge, Ravenlord and Weregeld along with several short stories.